My love for photography can be seen in each and every picture you see throughout my website. I strive to keep my work Unique and Creative, taking advantage of all of the wonderful locations available in our community. My goal is to make each photoshoot a memorable experience for each client, while capturing their true personalities and emotions. 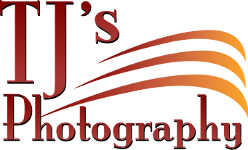 When considering hiring me to photograph you, I will want to have a phone or in-person consultation so I can find out what you have in mind for your session, as well as giving you my ideas on what we could do to achieve your goals. I have daytime as well as evening appointment times available, and weekends.